We innovate. In 1998 our founders were the iMIS AMS resellers of the year. In 2000 the founders of Altai were the first company to make an AMS using a true CRM (Siebel). 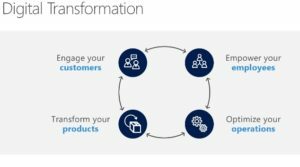 Since then we have looked at the association industry differently, powering our AMS on Microsoft Dynamics 365 and leading the thinking about how true transformation happens using a platform. Today the Microsoft Platform allows you to move any part of your business process to the cloud where security, backups, stability, and performance are no longer a part of your day-to-day concerns. You need to bet big. Familiar with Legos? They snap together very easily – right? The Microsoft Business Platform allows you to assemble almost any business process using tools, applications and features in the Azure, Office 365 and Dynamics Platform. These tools range from infrastructure to accounting software (ERPs) to CRMs to office software to Association Revenue modules (dues, non-dues, events & meetings, marketing, full credentialing, donations, eCommerce, etc.) to automate to Business Intelligence to artificial intelligence – the sky’s the limit! 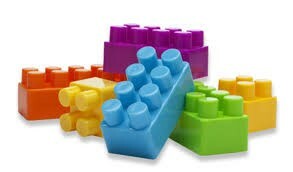 Like Legos, the Microsoft Business Platform components snap together easily; you don’t have to be a computer scientist to do it. The power of the system is in the hands of the passionate user. Any tool you need is a click or two away. The Microsoft Business Platform has more apps and services than any other platform out there. Microsoft’s cloud is used by > 95% of the fortune 500 companies. In 2018 Microsoft invested approximately $15 billion in R&D and $10 billion in updates to the Azure Business Platform. In comparison, the next largest Platform is Salesforce. For comparison – Microsoft outspends Salesforce 10:1 on R&D and the Platform each year. Stop worrying about the above and let experts do it. Microsoft has thousands of experts working 24/7 to make sure you are not exposed. (Exposed to mistakes, oversights, foreign governments, hackers, etc.) Microsoft spends $1 billion on security each year. They monitor 7 trillion cyber events a day. If you are thinking about backups, GDPR, data integrity, etc., you can now stop. With Microsoft, you can know your data is safe, it is backed up to other data centers, other servers all automatically. This year Microsoft will spend over $15 billion in R&D. Microsoft has a team of thousands of developers continually working to make Dynamics 365 and its eco-system better. This amounts to more development, enhancement, and innovation than any single AMS vendor can provide than all the traditional AMS vendors and platforms combined. Dynamics 365 has a proven track record of protecting their clients’ investment in CRM by delivering innovative new technology and functionality while preserving upgradeability. Since the Altai product is built on the Microsoft Dynamics 365 platform, our solution is upgraded when they upgrade. 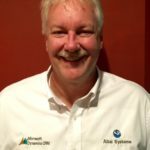 Want to be an expert in Microsoft Dynamics 365, or just want to find answers when you need them? With easy online access to training documentation, videos, courses, and direct support from Altai, the choice is yours. Microsoft Dynamics 365 also has more than 3 million users of CRM around the world, so you can find help not only from Microsoft, but from other users as well. There are hundreds of self-maintained user communities, blogs and forums. To this add the hundreds of Dynamics Partners available and you have a multi-channel system of support unlike that of any other AMS vendor. You probably start your work day by logging into Outlook. With Altai, you never have to leave Outlook to see information about your members, or access any of the functionality of CRM and the Altai Solution. You can track your Outlook emails, contacts, appointments and tasks all with in CRM. Integration also extends to other Microsoft Office/Office 365 tools like Excel, Word, and Power BI as well as solutions such as SharePoint, Skype and Flow. Microsoft continues to add to the enterprise solution list with tools for marketing management, customer service, and social media integration. Business Process Automation (BPA) sounds complicated, but really, it’s all about making your job easier. One of the primary areas of value that Altai brings to your organization is using the various tools within Microsoft Dynamics 365 to streamline your operations, so staff can do more member-facing and revenue generating tasks. Artificial intelligence. AI exists throughout the platform. Whether it is a reminder to call a member back because you have not heard from them in a while, to asking the AI engine to tell you why community activity is down, to simple intelligence on just having the AI engine tell you what leads to focus on, it is all there at your fingertips. Click here for a AI for sales demonstration. Microsoft is the leader in AI for business. The AI team has a separate R&D budget of $5 billion / year. Microsoft recently took the #1 spot on a some of the most prominent AI leader boards. In fact, one of those leaderboards is hosted by Salesforce. LinkedIn. Microsoft bought LinkedIn for $23 billion for many reasons, but the top reason is the member journey. You need to know the member journey before you can have meaningful conversations with them. Know if your members switched jobs or roles. Understand your members connections to each other. Check this video out! Your membership and credentialing system can be designed for specific job and security roles. Process driven forms can guide staff through data entry, form-based business rules can drive actions to happen automatically, and workflows can run processes for you either on demand or automatically. Using this functionality requires no programming and can be used by your organization with little to no additional reliance on Altai. Work from anywhere on almost any mobile device including iPad/iPhone, Android and other platforms. Microsoft Dynamics 365 CRM has native mobile functionality allowing you to make even custom forms mobile compatible. Altai also enables you to get closer to your members and make commerce easy for your members via mobile devices. The Altai Web Portal modules are responsively designed so that they scale to the device your member is using. No need to force members to download yet another clunky app to conduct business with you. Associations today face more competition than ever and have even more pressure to show value to their members. Microsoft Dynamics 365 CRM is designed to capture knowledge about a member to better market to and service them. Microsoft Dynamics 365 CRM allows your organization to see a member’s interests, understand who your most engaged members are, know which products are generating the most revenue, which services are considered the most valuable and which messages are getting the most response. You can then use this information to increase revenue and improve engagement across all your communication channels. When your members are talking about you, are you involved in the conversation? Today’s members are connected in many ways: to colleagues, their friends, and to your association. Microsoft Dynamics 365 provides inherent social capabilities such as Social Engagement to help you monitor and respond to what your members are saying about you. Altai can help you integrate your private social network to your CRM database. All of this helps you measure and improve member engagement. Microsoft Dynamics 365 also helps your internal Community with features like OneNote that allows you to set up groups, send automated tasks to just you, other staff, or the entire organization and even integrate with SharePoint for sharing of information across the organization.